The box that the drive arrives in is covered in information with barely any area wasted at all. There’s an image of the drive on the front and claims made to the “Designed, developed and assembled in the UK” on the bottom. 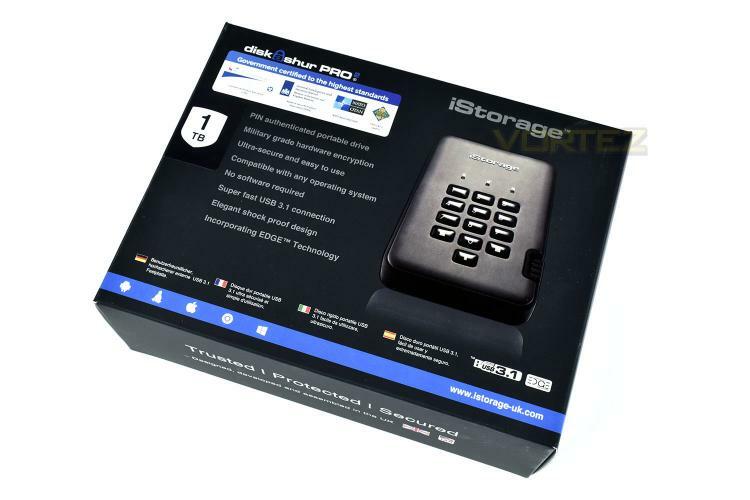 The rear gives even more information, in bullet point, multi-lingual format, ensuring you know what you’re purchasing. However, having said that, there isn’t a single mention on the box as to whether this is the HDD or SSD model, which is also available. 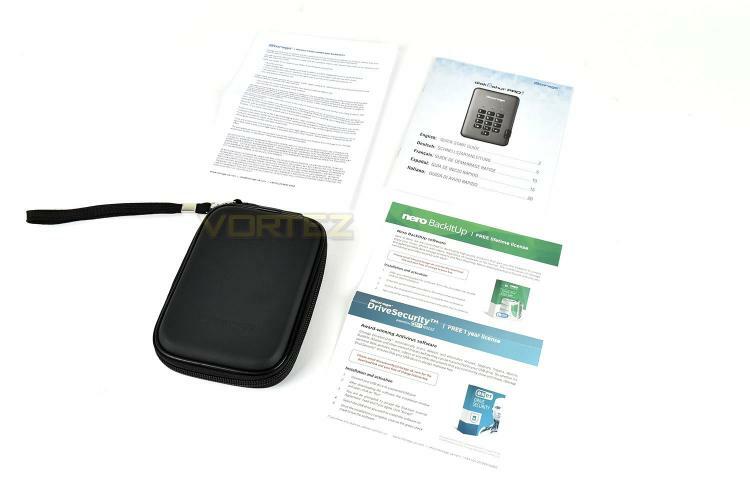 Alongside the HDD is a leatherette zipped pouch with a small carry handle, instruction manual and free licences for Nero BackItUp and ESET Drive Security worth over £45 at RRP.